Know your self worth and stay afloat. Know your self worth and stay afloat. Depression is no joke and it's going to take a serious image of your strongest self to get through the bouts with it. 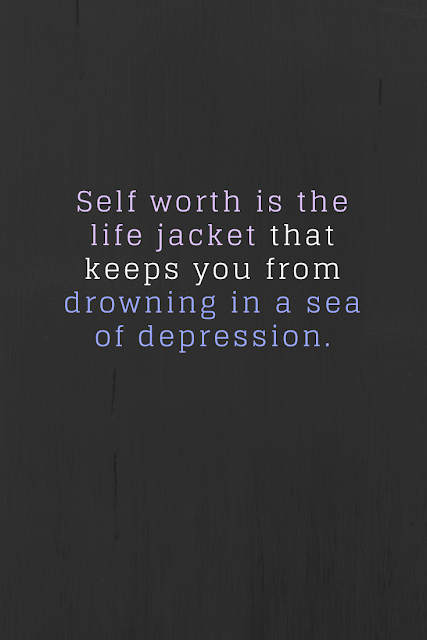 Depression will try to convince you that you are worth NOTHING but your self worth has to be stronger than that. Whatever you do remember your self worth and never let Depression win the war.